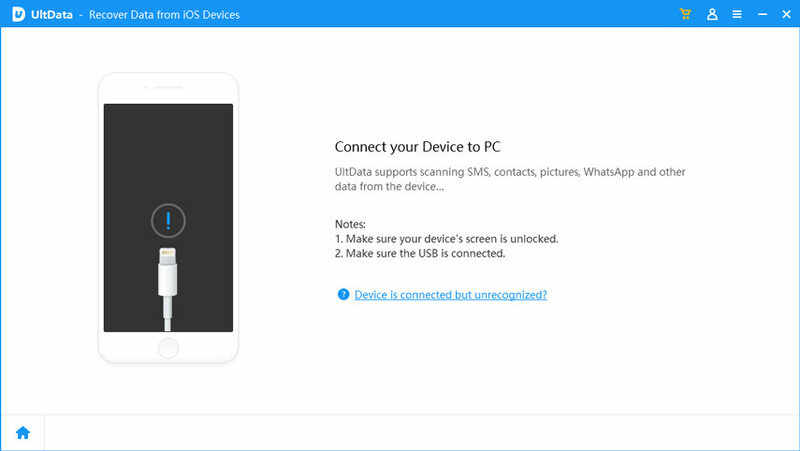 Lost your iPhone and want to extract WhatsApp messages from the old iPhone backup and save it on your computer? In fact, each time you back up or sync iPhone with iTunes, the WhatsApp data will be backed up as well. You can extract WhatsApp messages from iPhone backup to computer with aided tools. The whole process only takes a few minutes. 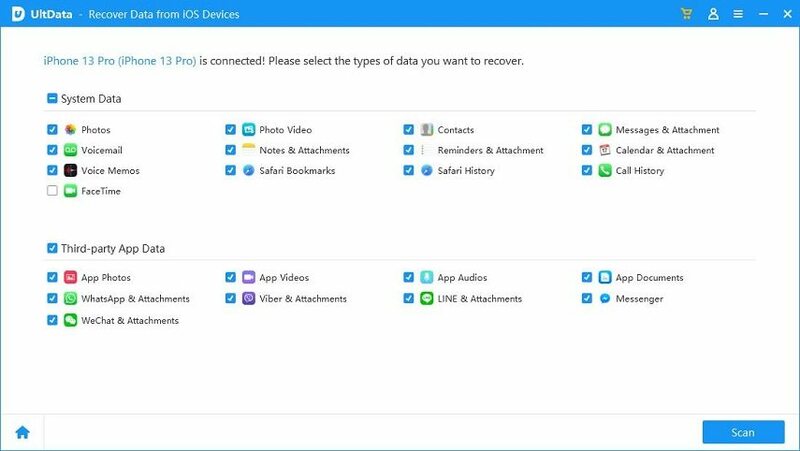 Provided that you've backed up iPhone with iTunes before, you can then extract WhatsApp messages from backup to computer even your iPhone is lost, stolen or damaged. Download UltData (officially named iPhone Data Recovery) to your computer first. This tool supports all Windows OS including Windows 10, Windows 8, Windows 7 and Windows XP. Go for WhatsApp Message Extractor for Mac if you're looking for the Mac version which is compatible with even the latest Mac OS X 10.10 Yosemite, 10.9 Mavericks. Note: Be careful! Before the extracting, don't sync your iPhone with iTunes. Because iTunes will update the backup file every time you sync with it and the backup data will consequently get changed. When you start WhatsApp Message Extractor on your computer, it will automatically detect all the iTunes Backup File on your computer. Choose your iPhone backup and hit "Start Scan". You can view scanned results separately listed with categories including contacts, call history, messages, notes, camera roll, photo stream, etc. besides WhatsApp. Select WhatsApp and you can then preview details of the WhatsApp messages. Check WhatsApp messages you would like to extract and then click "Recover" button. In the pop up window, select a proper save path for the extracted messages. I have No iTunes backup, How to Extract iPhone WhatsApp Messages to Computer then? Don't worry. Without iTunes backup, you can still extract WhatsApp messages. However, this time you need to have your iPhone 6/6 Plus/5S/5C/5/4S with you and you'll extract messages directly from iPhone instead of iPhone backups. First connect iPhone to your computer via USB cable. Next run WhatsApp Message Extractor on your computer and scan for WhatsApp messages you want to restore. When scanning finishes you will get all WhatsApp contacts listed on the left of the interface. Choose desired contacts and you can preview details of the WhatsApp messages on the right. You can even export the attached videos and photos. Click "Recover" and select a path to save the extracted iPhone WhatsApp chats. We've introduced 2 ways to extract WhatsApp chat logs from iPhone to computer with the help of WhatsApp Message Extractor. You can feel free to try each of them and tell us which do you think suits you best. Sometimes WhatsApp crashes on iPhone which cause your iPhone stuck or froze, in this case, you can force iPhone to reboot with a free iPhone reboot tool. If you like this post, share it with your friends on Facebook, Google Plus and Twittter.